John Goodliffe was born February the 23rd 1798 in the family home of Lambley Lodge near Belton in the County of Rutland. Although John was the second son, his older brother Thomas, born in 1794, died in 1816, aged 21 years leaving John as the oldest surviving son. John Goodliffe died 5 March 1864 at Lambley Lodge. 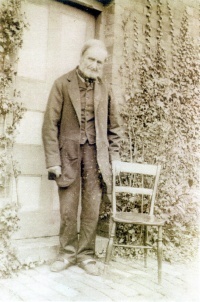 His son Simpson Stokes took over the farm. 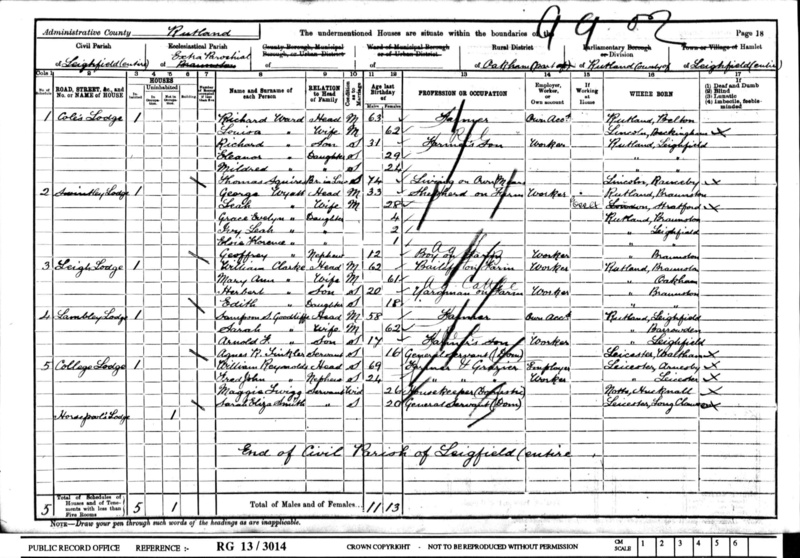 1871 Census - In 1871 Elizabeth was living at Lambley Lodge with Simpson and family. 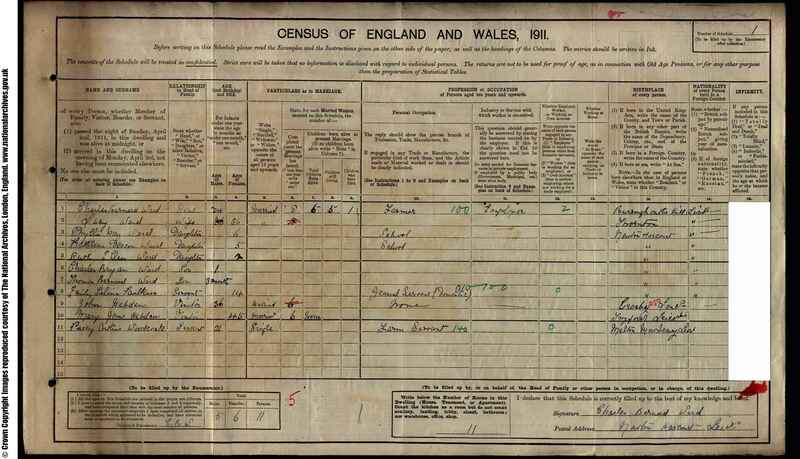 1881 Census - in 1881 Elizabeth was living alone at Main St, Braunston (on the corner with Brook St), but she had Elizabeth Reynolds (granddaughter) living with her on census night. Elizabeth died on 5 May 1886 and is buried with husband John at St Peters Church, Belton. John Thomas - emigrated to the United States, departing Southhampton on 1 September 1856 on the Palestine. He is shown as John GOODLIFF, age 24 and a carpenter. He was accompanied by his wife Mercy, whom he married in London earlier that year. There is more information here about John and his life in Mamaroneck, New York. Annie Maria - also listed as Ann and Anna, married the boy next door - George Robert REYNOLDS in late 1865 registered at Oakham (Dec qtr 7a/577). The Reynolds family lived at Cottage Lodge, which was adjacent to Lambley Lodge in Belton. There is more about Annie and the REYNOLDS family here. 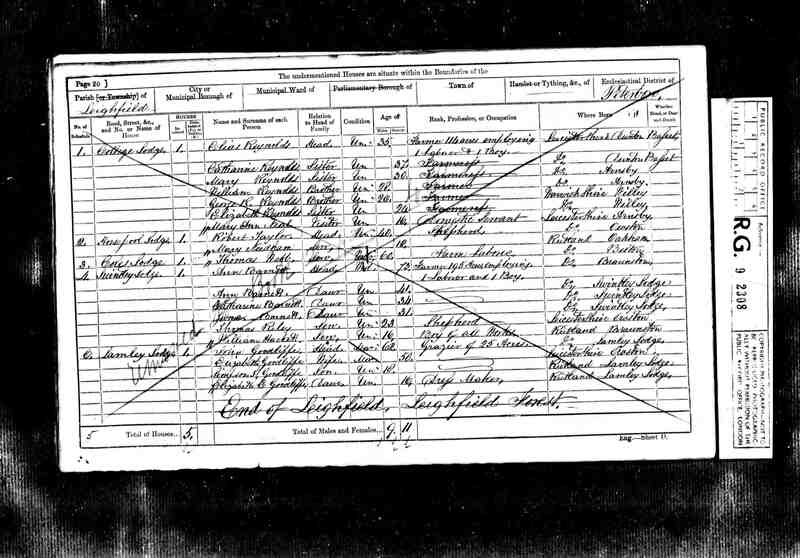 William Frederick - apparently known as "Billy Pitt" married Eliza Ann BROWNSON in Dec qtr 1858 in Nottingham. They had six children. More information about William and his family is here. Henry Arnold - married Elizabeth LAWSON and became a grocer in Nottingham, as did several of his uncles and cousins. Henry and Elizabeth had 7 children. Details of his family are here. Alfred Pitt - Alfred married Ann INNOCENT on 27 Jan 1863 at St Peters, Nottingham. They had 7 children. His family details are here. 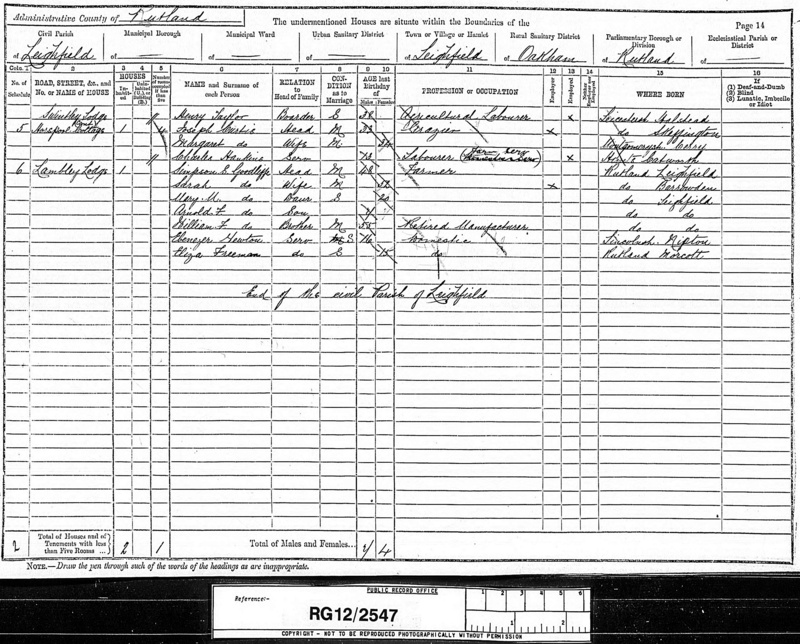 Simpson Stokes GOODLIFFE - married Sarah GOODLIFFE in Dec qtr 1867, at Uppingham 7a/661. They lived at Lambley Lodge, taking over from Simpson's father, John. 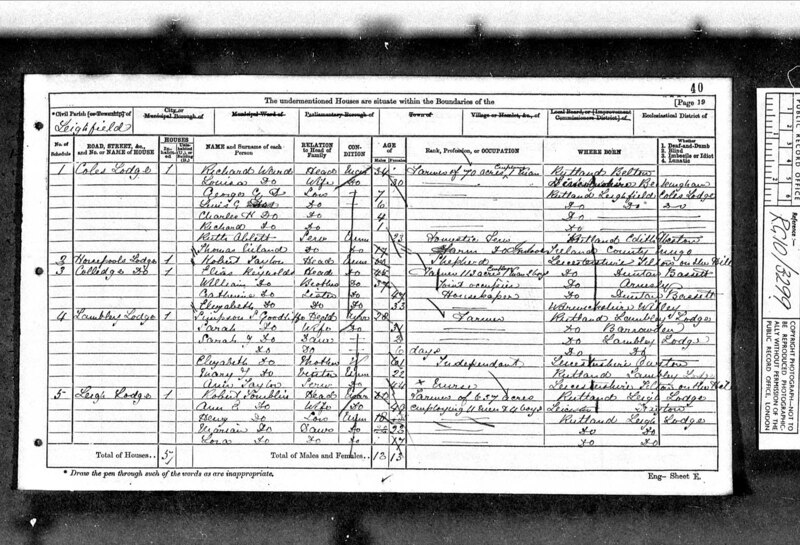 In the 1871 census the family is at Lambley Lodge - Simpson, Sarah, Sarah (2) and unnamed (6 days), with Simpson's Mother Elizabeth and Mary J Goodliffe, visitor, born Lambley Lodge. In 1881 Simpson is a farmer of 250 acres, with wife Sarah and children Sarah, Mary, Clara and Ruth. In 1891 at Lambley Lodge were Simpson, Sarah, children Mary and Arnold, and Simpson's brother William Frederick (retired manufacturer, aged 55. See above entry). In 1901 Simpson, Sarah and son Arnold were at Lambley Lodge. 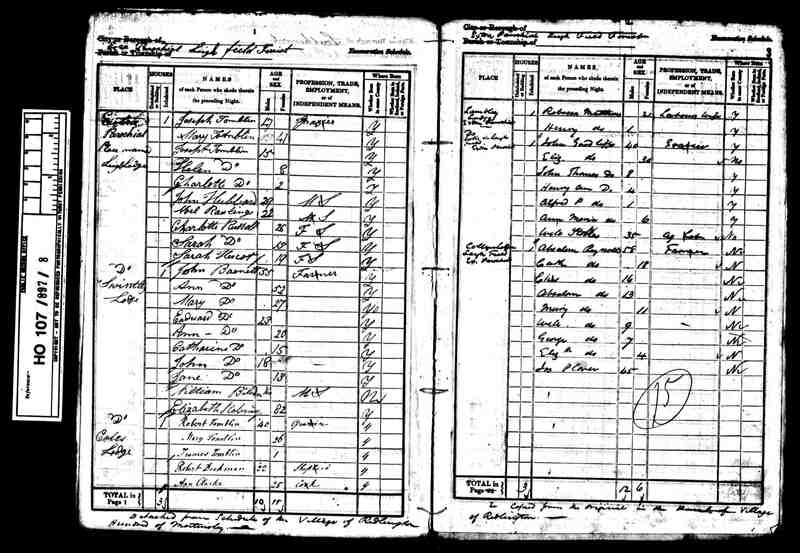 In the 1871 census, Elizabeth and Charles are living at Launde, Leicestershire with Charles' mother Eliza, their daughter Edith (1) and Charles' sister Ruth Ward (44). In 1881 they have moved to a farm at Burrow Village, Somerby, a few miles west of Oakham. The family was now Elizabeth and Charles, Edith (11), Eliza (8), Charles Joseph (5), Florence (3), Evelyn (1), and Eliza Ward and Mary Jane Ward, Charles' mother and aunt. In 1891 they were farming at Newton Harcourt. Charles died 7 Nov 1896. In 1901Charles Bernard remained on the farm at Main St, Newton Harcourt with his sister Lillie (Eliza). Their mother Elizabeth Ellen was visiting her sister Annie Reynolds at Jubilee Lodge. Elizabeth Ellen died in Leicester on 29 February 1932. 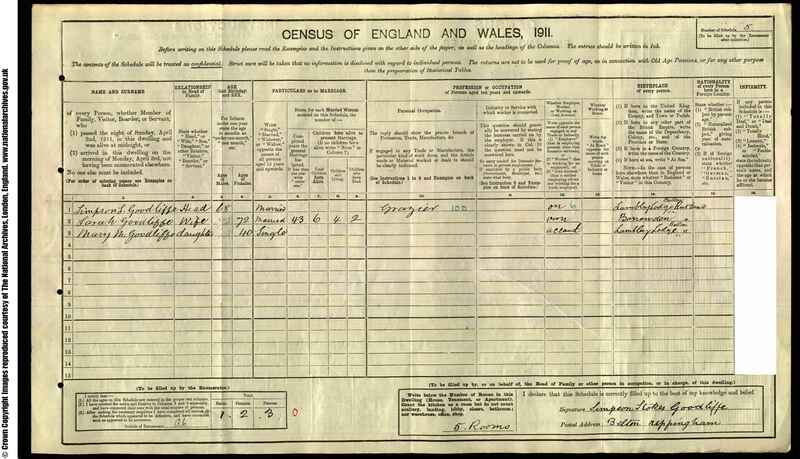 Albert (14) is in the 1861 census, residing with his brother Henry Arnold at Main St, Hucknall Torkard. 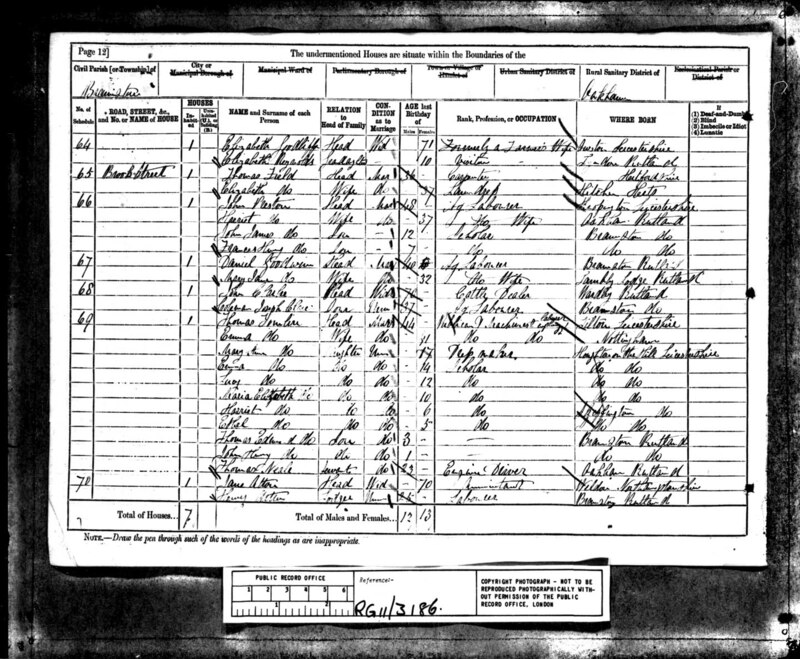 In the 1871 census, Albert (25) was a grocer, lodging at 48 Peel Sq, Bradford. By 1881 Albert was married and with 3 children, Fanny (5), John (2) and George (6 months). He was a wholesale grocer, living at 15 Southbrook Tce, Little Horton, Bradford. In 1891 the family was at 10 Neal St, Horton, Bradford, with Fanny, John, George, Edith, Lily, Nellie, and Walter. In 1901 they were living at 29 Houghton Place, Bradford with all 9 children. Albert was still a wholesale grocer. Albert died in Bradford 18 Dec 1923. 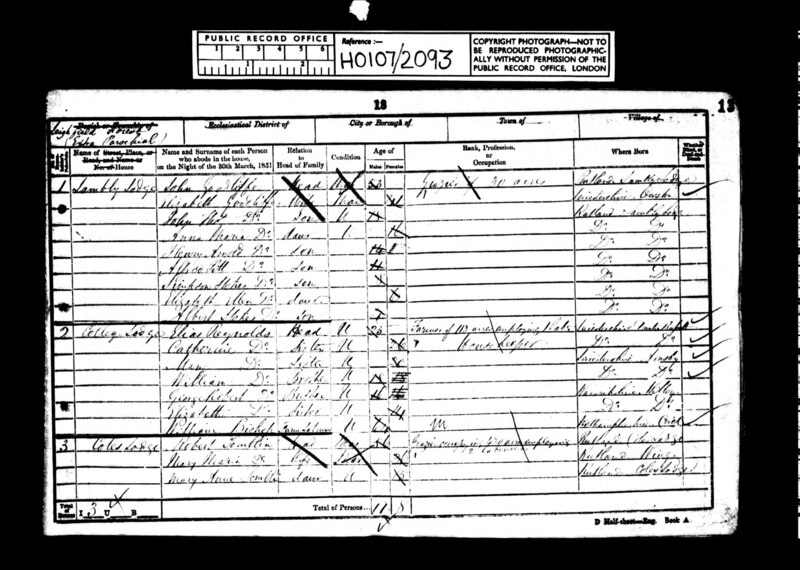 Mary (aged 13) is in the 1861 census visiting her cousin Anna MOULD (nee Culpin) on a farm at Wood Newton. 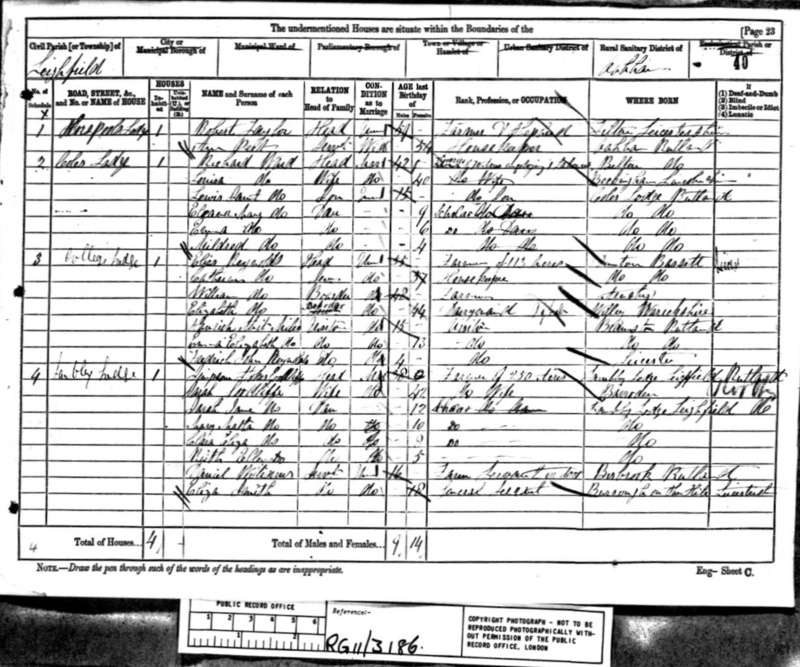 In the 1871 census, she is visiting her brother Simpson Stokes at Lambley Lodge. In 1881 Mary and Daniel had just married, and they were living at Brook St, Braunston, 2 doors away from her mother Elizabeth. In 1891 they lived at The Village, Braunston, with son Alfred Henry (9). In 1901 they were at 5 School Rd, Braunston, with Alfred Henry (19). In 1911 they were still living at Braunston. Daniel was aged 71 and Mary 62. Mary Jane died in Braunston in 1916 (March quarter Oakham 7a/422). Daniel appears to have died in 1924, aged 88 (March qtr, Blaby 7a/84).